Cisco’s flagship annual customer conference has been a pillar of its portfolio for 20 years, but nothing rocked its foundation like the economic recession of 2009. Founded in 1984, the San Jose, CA-based maker of networking hardware and software had weathered the dot-com boom and bust with relative ease, but for the first time in its history, faced unprecedented concerns about attendee turnout—and attendee revenue—at its largest event, Cisco Live! With a year’s worth of product innovations and prospective sales riding on one event, and the market in a tailspin, the company turned to technology—specifically virtual events—to help fill in the gaps. Fortunately, the brand had done more than just dabble in the virtual space before 2009. The brand’s proprietary Telepresence technology (launched in 2006) facilitates face-to-face meeting experiences through a series of 3D video conferencing suites all over the world. The company acquired online collaboration platform WebEx in 2007, and the same year, produced live Second Life events when the alternate reality platform was just starting to gain momentum. And then there’s GSX, the company’s weeklong annual global sales training event for 20,000, that last year moved from the real world and into a virtual one for the first time in 20 years (it also took home an Ex Award–see pg. 108 for more). Cisco had executed other smaller virtual events before, too, but never on the scale of Cisco Live! and never with the worry that the digital platform might cannibalize the revenue and long-established value generated by the live event. But 2009 being what it was, necessity became the mother of invention. The resulting live + virtual “hybrid” event, dubbed Cisco Live! and Networkers Virtual Conference, held last June in San Francisco and online around the world, not only blew past expectations, it delivered unexpected results and surprising new metrics that are paving the way for a new event model that will impact the industry for years to come. Last year produced some of the most innovative work the industry has ever seen. This year’s Grand Ex Award winner, the first b-to-b event to win the industry’s highest honor, is no exception. As one of the world’s biggest technology companies (its annual revenue exceeded $36 billion in 2009), Cisco started out producing routers that enabled early email and Internet communication. Today, the brand still stands for networking and connectivity, but in its marketing outreach, seeks to emphasize its ability to facilitate human connectivity—its corporate tagline: Welcome to the Human Network. Technological innovations are central to the company’s mission, and hybrid events are just one more way the company is delivering on its mission to make the world a smaller place through technology. 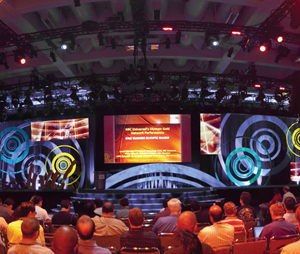 Cisco Live!, the brand’s communications conference for IT decision makers is 21 years old this year. The event was named Cisco Live! in 2007 after a rebranding process that expanded the scope and customer base for the event. “We evolved the event into a strategic platform for our key initiatives as well as for training and education,” says Doyle. Today’s conference is comprised of seven different programs, or events within the larger event, and includes 500 sessions, exhibits, social events and custom programs. Before 2009, the focus in the virtual space had primarily been on building a community to drive attendance at the in-person events. Virtual activities typically took place “off-cycle” from the in-person conference and were smaller in scale. Because of the economy, Cisco accelerated its plans to build a more robust virtual environment and made the decision to launch its first-ever Cisco Live and Networkers Virtual Conference, concurrent with the live event planned for June. To be successful, the team knew it needed to offer the same educational and networking experience virtually that customers received at the in-person event. And it had to deliver on three key objectives: maintain its customer base that couldn’t travel to the live event, reach out to potential customers who have never been to the live event and offer live event attendees a way to stay in touch with peers and colleagues stuck back at the office. “Our team felt like we really needed to provide these [virtual] options to our customers because although we want them first and foremost to come to the live event, and obviously it’s important to us from a revenue source because our customers are paying to attend, we felt that it was pretty clear that everyone wasn’t going to be able to attend the conference in 2009 because of budget reductions. So we wanted to give them an option to attend in a different way,” Doyle says. 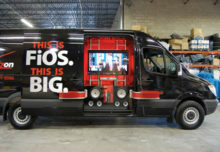 For those that could get to San Francisco last June, Cisco Live! was a five-day paid conference featuring content-packed days and nightly networking opportunities. For those that couldn’t attend, Cisco offered a two-day, 3D web-based virtual experience that ran alongside the first two days of the live event and gave people around the world access to keynotes, sessions, a digital exhibit hall and on-demand content. Attendees in the virtual environment could participate in conference sessions and events, streamed from the live event, including the keynote addresses and one- to two-hour Super Sessions. Other sessions were delivered as “live simulated” experiences, previously recorded but streamed live, 10 each day, at a designated time as “online exclusive” content, then available subsequently on demand. Cisco also hosted a select number of panel discussions with external gurus and Cisco experts within Second Life. Cisco Live! and Networkers Virtual also hybridized its World of Solutions expo where elements like the “Technical Solutions Clinic” and “Meet the Engineer” converged in a series of “Ask the Expert” experiences for the virtual attendees. These sessions enabled the Cisco experts to reach a much larger audience and provide real time assistance, in addition to answering questions on new network designs that the virtual attendees were interested in. Cisco also had key partners and many internal Cisco business units participating in the virtual World of Solutions. Another element shared from the face-to-face event with the virtual audience was the Cisco Booth Solutions Theater. The theater offered the virtual attendees a bird’s eye view of the stage in real time so they could watch and listen to presentations from partners and Cisco business units. Each presentation also had a virtual representative available for questions not addressed during the live presentation. With all the great virtual add-ons, Cisco had to think strategically about ways to prevent live attendee attrition, so it offered flexible registration packages. Some included free content, like keynotes, sessions and access to the exhibit hall. Others, like the live simulated sessions, were offered at a premium price as part of a $395 package. Cisco also offered an a la cart menu of options including technical sessions for $45 each. The strategy helped the brand build awareness and consideration for new attendees who may not have attended before while increasing value for exhibitors. Cisco also boosted the virtual event’s value by giving virtual attendees several exclusive experiences that live event attendees didn’t receive, like a live group video chat with cto Padmasree Warrior after her keynote. By the end of its run, more than 10,000 people attended the live event and more than 5,000 attended the virtual event, collectively representing 195 countries—a record number of customers and partners for any Cisco show. Fifty-five percent of virtual attendees were “net-new” attendees, so they had never been to an event before. 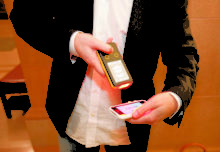 Turned out, the virtual event also served as a feeder for the 2010 live event. 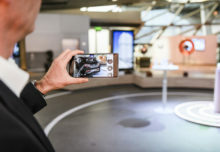 Almost 35 percent of virtual attendees said they’d attend the live event this June, and only seven percent of live attendees said they would rather attend virtually. “It gave them exposure in a way that we would have never been able to give otherwise,” Doyle says. When the team measured product familiarity before and after the event, the stats were the same for virtual attendees and in-person attendees. Metrics on increasing awareness and sales across both audience types scored almost the same, as well. “When we asked for success in conveying our key messages, virtual scored 4.2 and in-person scored 4.3,” says Doyle. “That was really great.” As an added bonus, the job level and title of virtual participants was higher than the in-person event. The brand is also gaining traction in a few other surprising ways. Cisco rolled out its platform for the U.S. event with the intention that it would eventually go global and develop into a year-round platform so people don’t just come into the virtual environment one time and then go away. 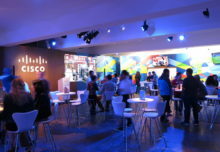 Subscribers (all in-person attendees received a complimentary one-year subscription to the Cisco Live and Networkers Virtual community) can go in any time of the year and gain access to a growing library of information and content. Live activities taking place around the world punctuate the environment, so every other month there’s some type of activity that the community can participate in. This virtual community started with 5,000 subscribers and 10 months later, has close to 50,000. “It really is this global portal or platform for all of our events,” Doyle says.